The Downtown was originally settled by some of early Toronto’s most prominent families. The street names in this neighbourhood are clues to its rich history. When the aforementioned families subdivided their large estates in the mid 1800’s, the current neighbourhood was born. The mansions on Jarvis and Sherbourne streets set the tone for the Downtown which up until the early 1900’s, was considered Toronto’s most fashionable suburb. population, which is comprised mostly of singles and couples. Downtown’s Victorian houses were built in the mid to late 1800’s. Most of these houses have been converted to commercial uses or into multi-family homes. This neighbourhood also contains a large number of fashionable townhouses built in the 1970’s and 1980’s. 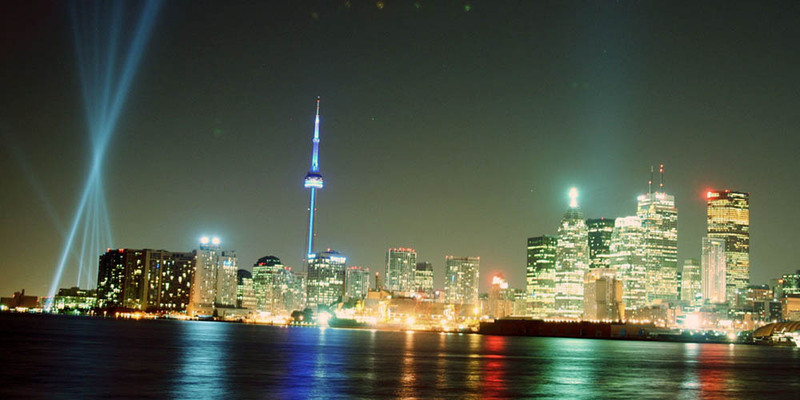 The Downtown is where you will find Toronto’s most diverse selection of apartment buildings. There are art-deco designed, walk-up apartment buildings from the 1920’s, high-rise apartment buildings from the 1950’s, and newer luxury condominium apartment buildings. These range from entry level prices to more exclusive residences such as the Windsor Arms condominium where units sell for over one million dollars. Downtown residents have a wide variety of shopping opportunities available to them. This mix includes high-end fashion stores on Bloor Street, trendy shops and restaurants on Church Street, and day-to-day retail shopping on Wellesley, Gerrard, Sherbourne and Charles Streets. The major shopping centre in this part of the city is the Eaton Centre, which is Toronto’s largest indoor shopping mall, with over three hundred stores. The recently minted Downtown Yonge shopping destination includes over 600 retail stores, 150 bars and restaurants, 8 hotels, 4 theatres and Yonge-Dundas Square which is Toronto’s version of Times Square and features year round concerts, events and community celebrations. Allan Gardens is the largest public park in the Downtown core. This park is the home of the Allan Gardens Conservatory, a botanical garden with six greenhouses that feature unusual and exotic plants from around the world. Allan Gardens’ calender of events includes spring, easter, and fall flower shows, as well as a Victorian Christmas show. The John Innes Community Centre located at 150 Sherbourne Street, has an indoor swimming pool, a gymnasium, a running track, a weight room, a cardio training room, a games room, a woodworking shop and a craft room. Adjacent to the community centre is the Moss Park Arena which includes pleasure and power skating programs as well as hockey leagues and a summer hockey camp. Bus services on Wellesley and Carlton Streets connect to the Sherbourne station on the Yonge-University-Spadina subway line. The Sherbourne Street bus connects to the Sherbourne station on the Bloor-Danforth subway line. There is also an express bus that runs on Jarvis Street during rush hour only. Motorists are approximately ten minutes from Lake Shore Boulevard and the Gardiner Expressway. 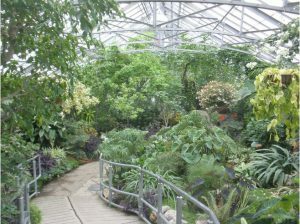 Allan Gardens is the largest public park in the Downtown core. This park is the home of the Allan Gardens Conservatory, a botanical garden with six greenhouses that feature unusual and exotic plants from around the world.